Do You Know What To Do During a Mental Health Crisis? 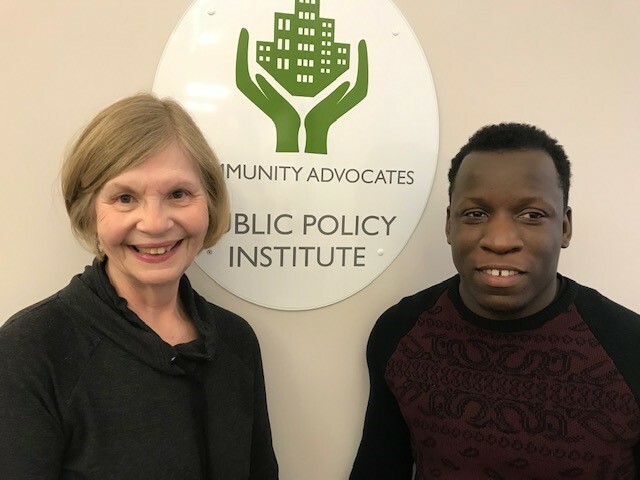 We at Community Advocates Public Policy Institute are excited about providing new training opportunities for youth workers, human services professionals, and community members from all walks of life. 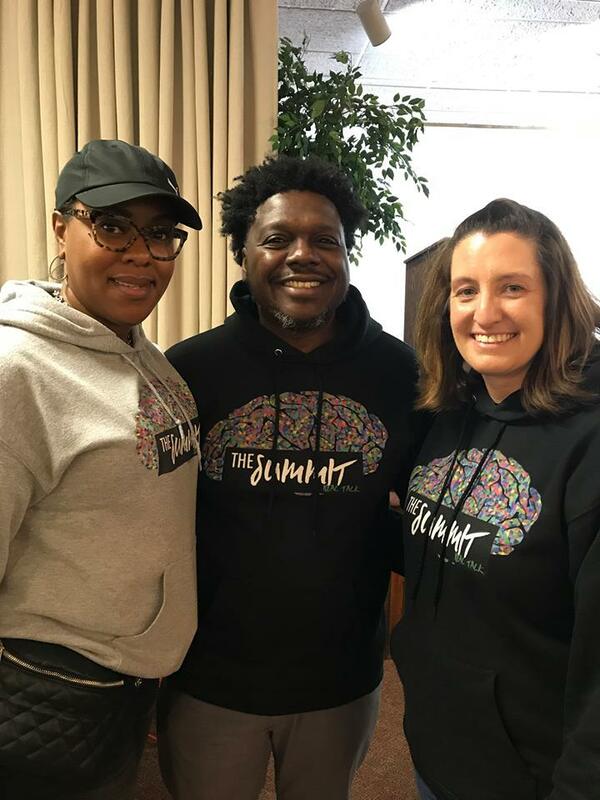 We’ve recently expanded our offerings on mental health, substance abuse and trauma, youth reentry issues, and more, to meet the needs of our community. 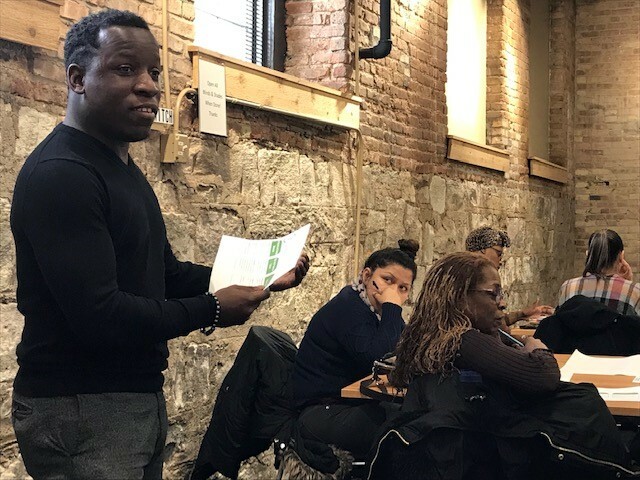 Our Training and Technical Assistance Coordinator Jeremy Triblett is continually looking for ways to connect with groups and individuals who want to enhance their skills and understanding of behavioral health and trauma. 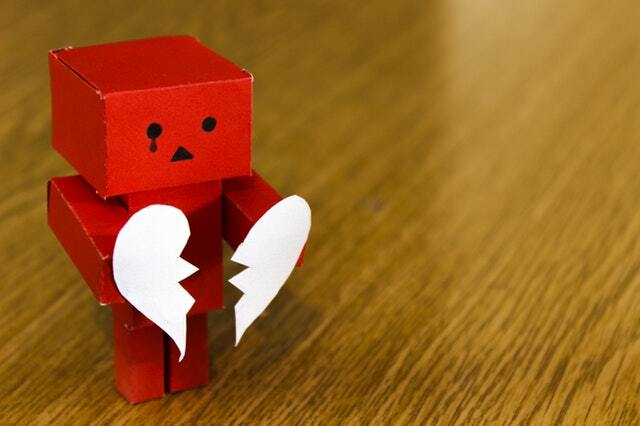 April 12: Youth Mental Health First Aid at Community Advocates Training Center, 6900 W. Brown Deer Road, Milwaukee. RSVP and get details here. April 17: Substance Abuse and Trauma at Milwaukee Christian Center, 807 S. 14th St., Milwaukee. Register and get details here. 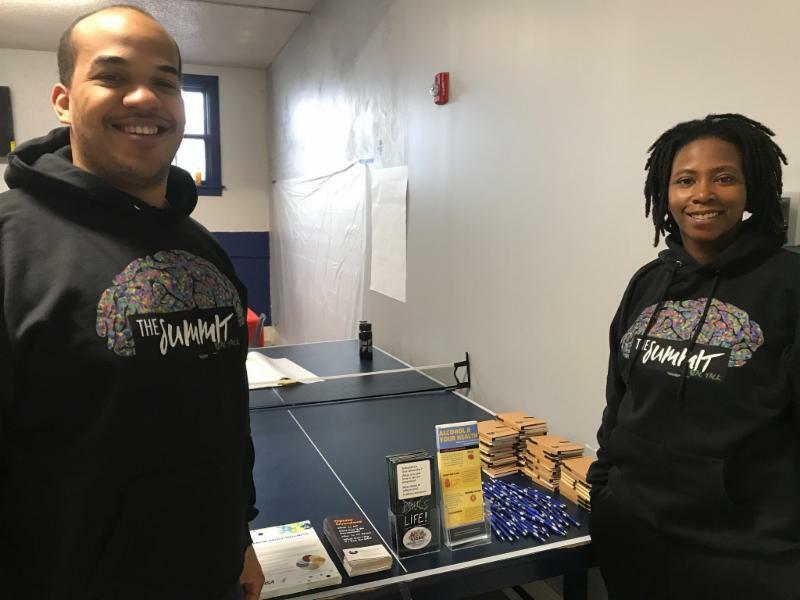 April 25: Youth Reentry Support at Ephesians Missionary Baptist Church Learning Center, 2412 N. Sixth St., Milwaukee. Register and get details at this link. Want To Be the First To Know about New Training Opportunities? 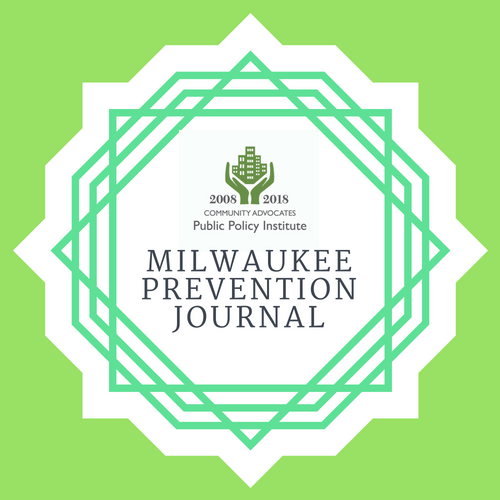 MCSAP is a diverse coalition of Milwaukee County partners who prevent and reduce substance use and misuse. The coalition is coordinated by Community Advocates Public Policy Institute . 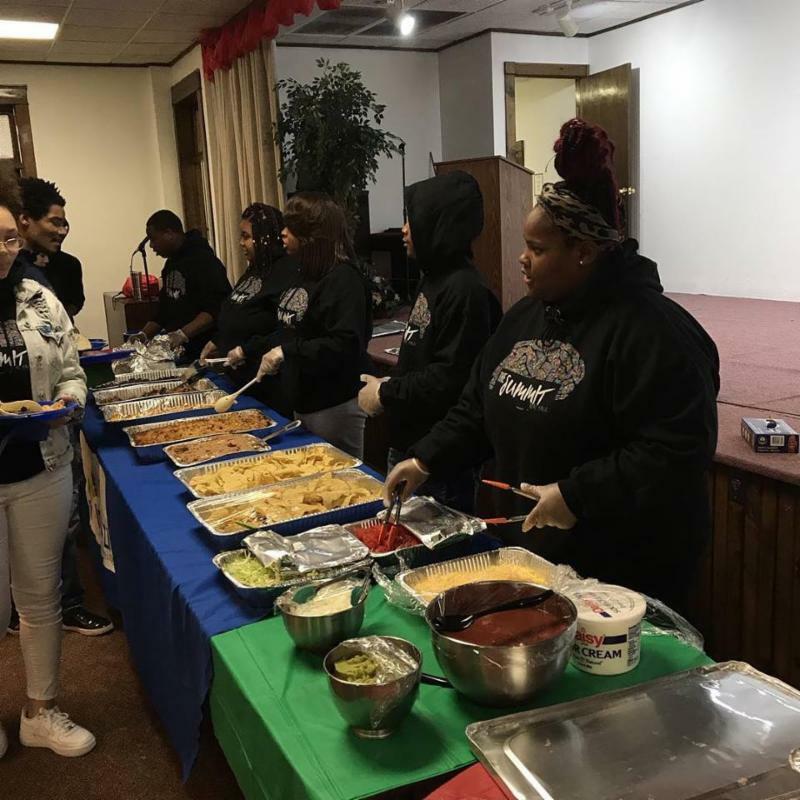 We are so grateful for Neu-Life for hosting, allowing their Farmfork youth to cook a delicious taco bar for lunch, and taking the lead on organizing this event. What a day! 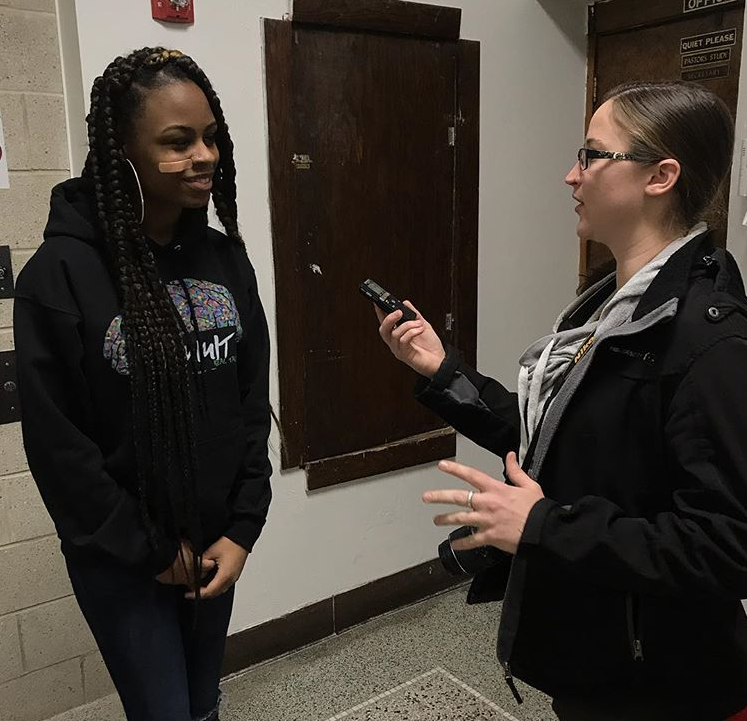 Members of Neu-Life FACT, Wisconsin’s youth tobacco prevention program, conducted the FACT Lounge FACTivism at the MCSAP Youth Summit on Friday, March 15, at Neu-Life Community Development. The FACT Lounge included a photo booth, stickers, a spin wheel with trivia questions about tobacco and secondhand smoke, and scratch-off cards to help spread the truth about tobacco and e-cigarettes. Pictured is one of the summit attendees. For more on FACT check out FACTmovement.org . Contrary to long-held stereotypes of suburbs as places of affluence far from the needs and stresses of urban life, Scott W. Allard reveals the truth about 21st century suburbs in Places in Need: The Changing Geography of Poverty . Allard explains that suburban poverty has more than doubled in the past 25 years and low-income households in the suburbs resemble their counterparts in the cities more than we realized. That said, suburbs don’t have adequate safety net support to meet the needs of their struggling residents. 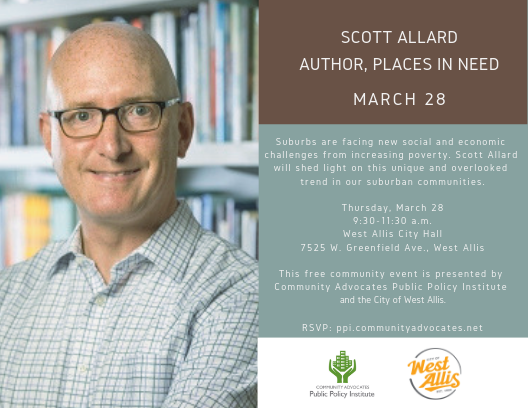 Community Advocates Public Policy Institute and the City of West Allis invite you to a lively, interactive conversation with Scott W. Allard on Thursday, March 28, from 9:30 to 11:30 a.m. at West Allis City Hall, 7525 W. Greenfield Ave., West Allis. This free event is open to the public, but registration is required. RSVP here. The organizers of Prevent Suicide Wisconsin’s annual conference have added more to the schedule. They recently announced the members of the lived experience panel: Gabrielle O’Neil, John Roelli, Melissa Jasurda, Daisha Bischoff, and moderator Terry (Bertha) McGuire. Also, note that there will be two optional pre-conference trainings on May 2: Assessing and Managing Suicide Risk (AMSR): Core Competencies for Behavioral Health Professionals (registration deadline is April 11) and Compassion Resilience Facilitation Team Training . Prevent Suicide Wisconsin’s 2019 conference will be held on May 3 at the Kalahari Resort in Wisconsin Dells. Reduced rate hotel rooms are available until April 1. Get all the details here. 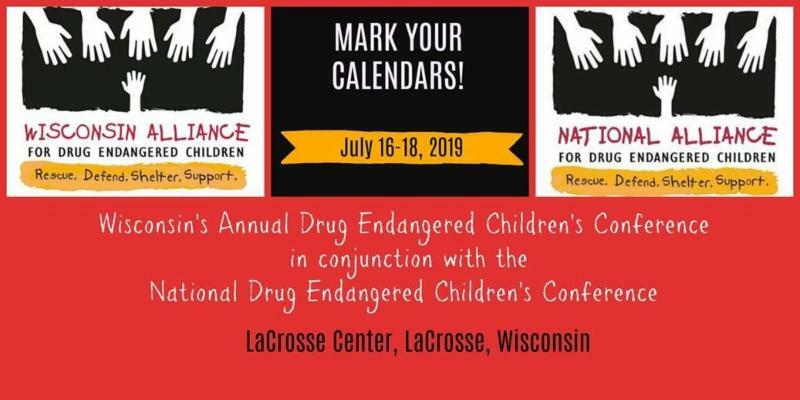 Set aside July 16, 17, and 18 so you can attend this annual conference on drug-endangered children in La Crosse sponsored by the Wisconsin Alliance for Drug Endangered Children. We’ll provide more details as the date approaches. 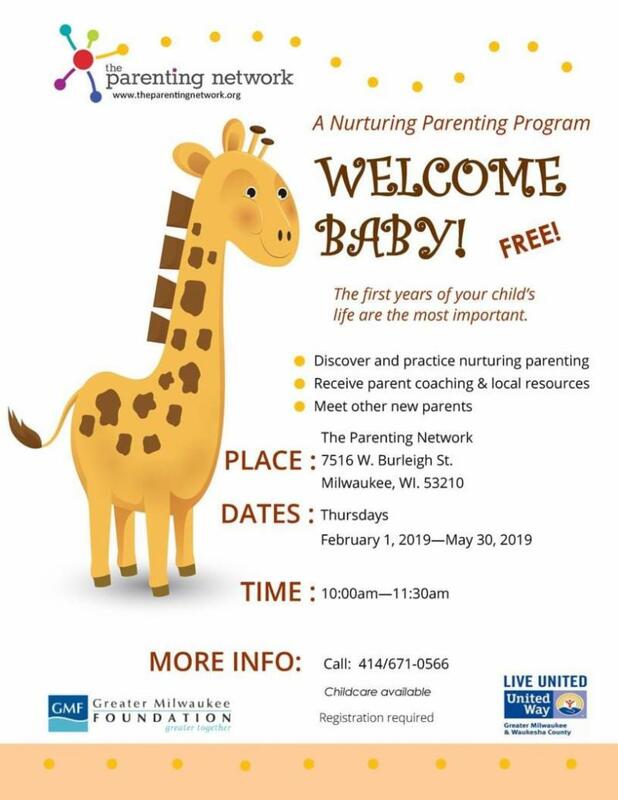 The Parenting Network , 7516 W. Burleigh Ave., Milwaukee, is offering weekly nurturing and parenting sessions for the crucial developmental period in a baby’s first year of life. You can receive parent coaching, connect with local resources, and meet other new parents. Classes run from 10 to 11:30 a.m., and registration is required. Please call 414-671-0566 to RSVP or get more information. 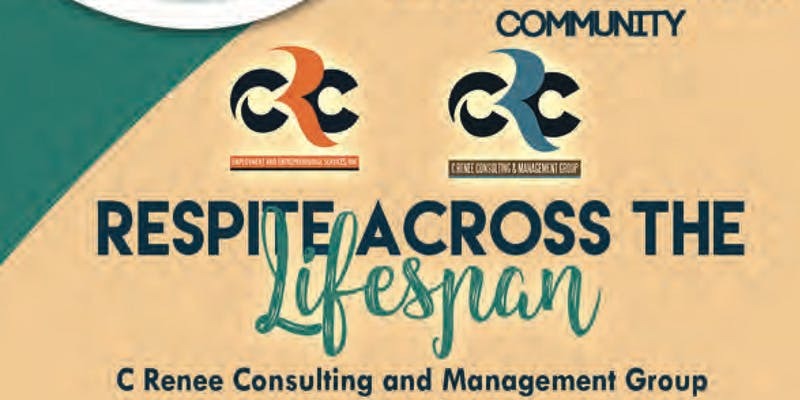 This free program from C Renee Consulting & Management in partnership with Lisa Schneider, Executive Director of Respite Care Association of Wisconsin, will provide participants with caregiver stress tips, training and education, financial assistance, and employment options. This workshop will be held on Thursday, March 28, from 6 to 7:30 p.m. at Hillside Terrace Family Resource Center, 1452 N. Seventh St., Milwaukee. RSVP is required at this link . 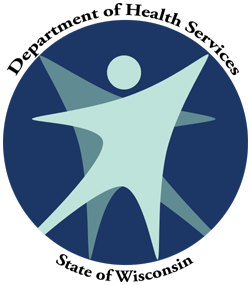 Wisconsin Department of Health Services’ Wisconsin's Opioid Crisis: A Trauma-Informed Response is for mental health professionals, substance abuse counselors, medical professionals, law enforcement, and related professions. This event will feature workshops on trauma's role in the misuse and ab use of opioids. Keynote speakers are Honorable Rev. Everett D. Mitchell, M.Div., Th.M., J.D., and Mishka Terplan, M.D. The registration fee will be $75 per person for the full conference, to be held at KI Convention Center in Green Bay. This event is part of Wisconsin's State Targeted Response to the Opioid Crisis funded by the Substance Abuse and Mental Health Services Administration. Register and get more information here . Gathering on The Green , the Cedarburg School District – Parent Engagement Series , and Rogers Behavioral Health are organizing this evening will feature a musical performance by Hannah Mrozak (Citizen Queen, American Idol, The Voice ) and a conversation with Hannah and Rogers InHealth Specialist Sue McKenzie about teens coping with stress and anxiety. This event, moderated by Katrina Cravy, is free and open to all teen students and parents and will be held at Cedarburg Performing Art Center, W68 N611 Evergreen Blvd., Cedarburg. It’s sponsored by Gathering on the Green’s Music Together program and Kapco Metal Stamping. Registration is required at this link . Doors open at 6 p.m. on Wednesday, April 3. 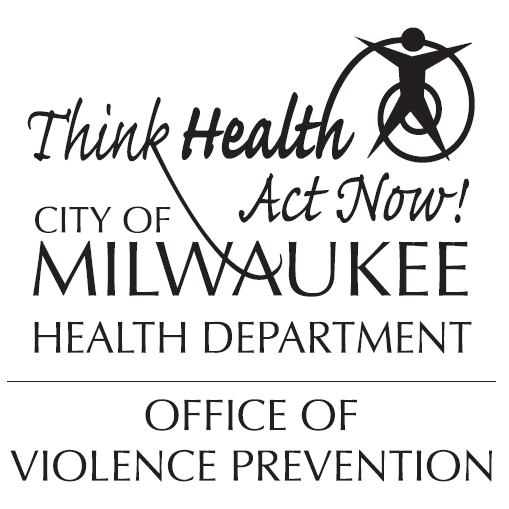 The Wisconsin Violence and Injury Prevention Partnership (WiVIPP) and Wisconsin Department of Health Services are organizing the 2019 Wisconsin Violence and Injury Prevention Summit in Madison on Thursday, April 4, from 9 a.m. to 3:30 p.m. This summit is designed for primary injury and violence prevention professionals across all sectors who are seeking opportunities to build capacity in data, policy, and partnerships. Get more information about this no-cost event and RSVP here. 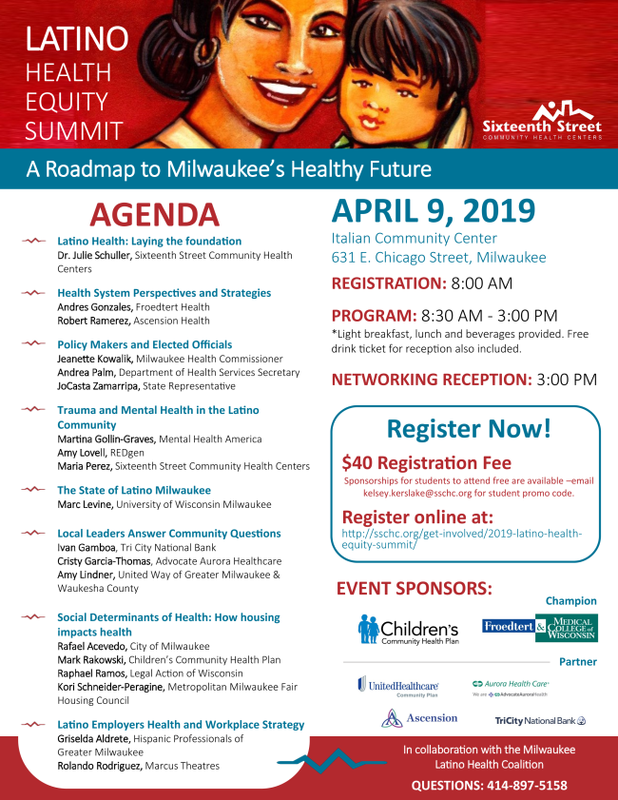 Sixteenth Street Health Center , in collaboration with the Milwaukee Latino Health Coalition , will host the 2019 Latino Health Equity Summit at the Italian Community Center, 631 E. Chicago St., Milwaukee. 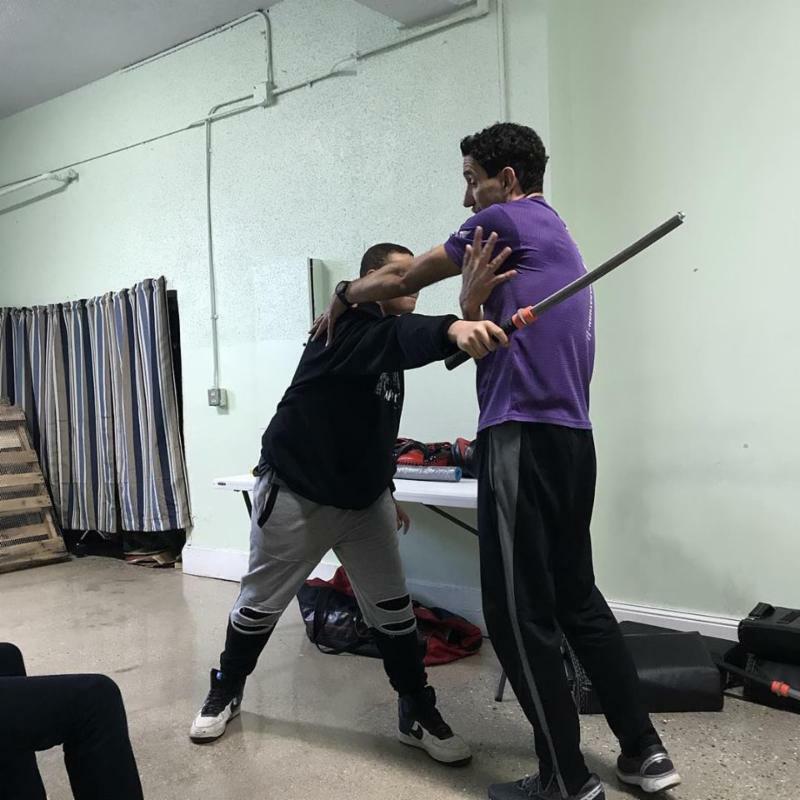 The April 9 event, featuring a wide range of political, professional, and health/field workers, will feature a special section on Trauma and Mental Health in the Latino Community. Registration can be completed here ; the fee is $40 fee (can be waived if you’re a current student). The event is from 8 a.m. until 3 p.m., with networking to follow. Questions? Email here . 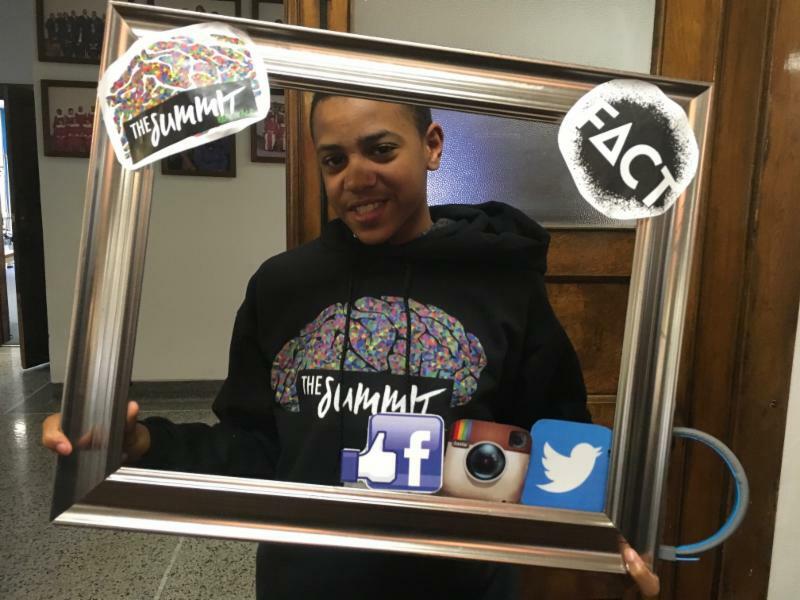 Sponsors for the Summit are Children’s Community Health Plan , Froedtert and the Medical College of Wisconsin , UnitedHealthcare , Aurora , and Ascension , and Tri City National Bank . 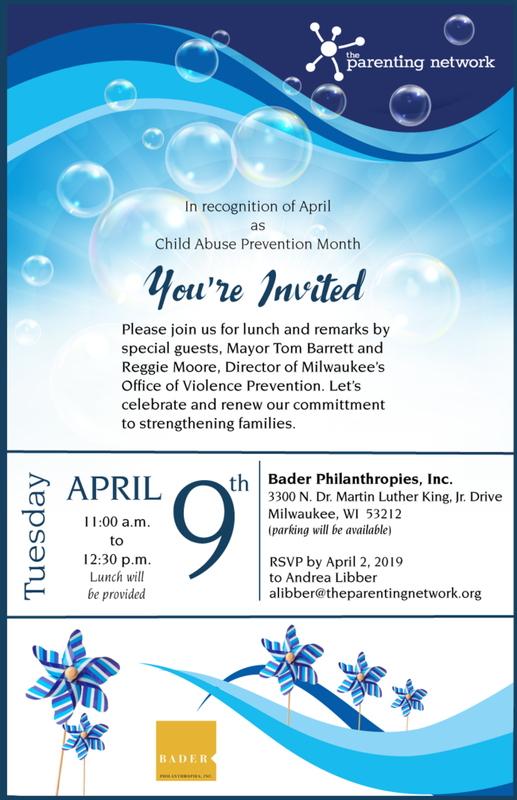 April is Child Abuse Prevention Awareness Month, and The Parenting Network invites you to lunch with remarks by Milwaukee Mayor Tom Barrett and Office of Violence Prevention Director Reggie Moore to affirm your commitment to supporting kids. The event will be held from 11 a.m. to 12:30 p.m. on Tuesday, April 9, at Bader Philanthropies, 3300 N. Dr. Martin Luther King Jr. Drive, Milwaukee. RSVPs are required by April 2. Email Andrea Libber to register. 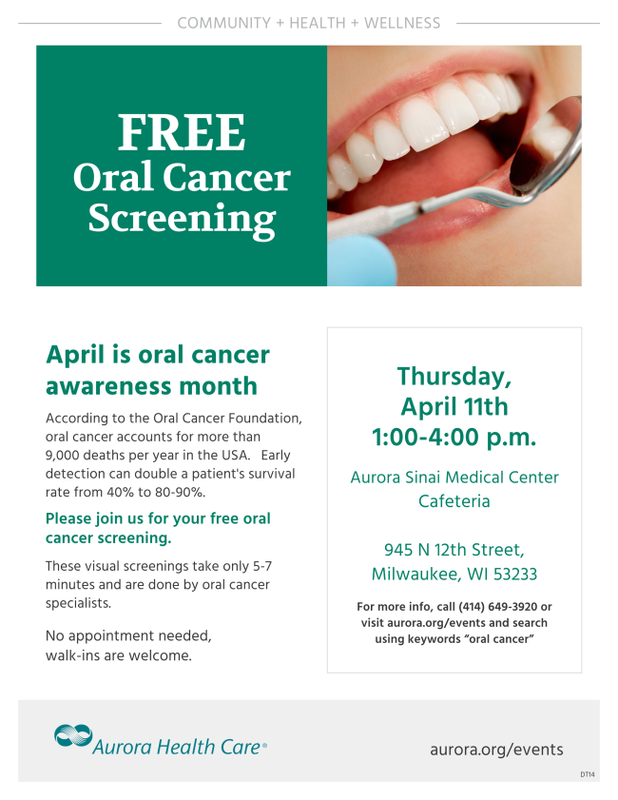 April is Oral Cancer Awareness Month, and the Aurora Sinai Medical Center , 945 N. 12th St., Milwaukee, will host complimentary oral cancer screenings in the cafeteria from 1 to 4 p.m. No appointments or insurance plans are needed, and walk-ins are welcome. Please call 414-649-3920 for more information.